Thirty five years ago I committed my most heinous of angling crimes. It was a beautiful simmer’s day on a Kent gravel pit. I spent many hours here as a teenager chasing the beautiful, natural carp. The fish were not big by modern standards; up to low twenties. 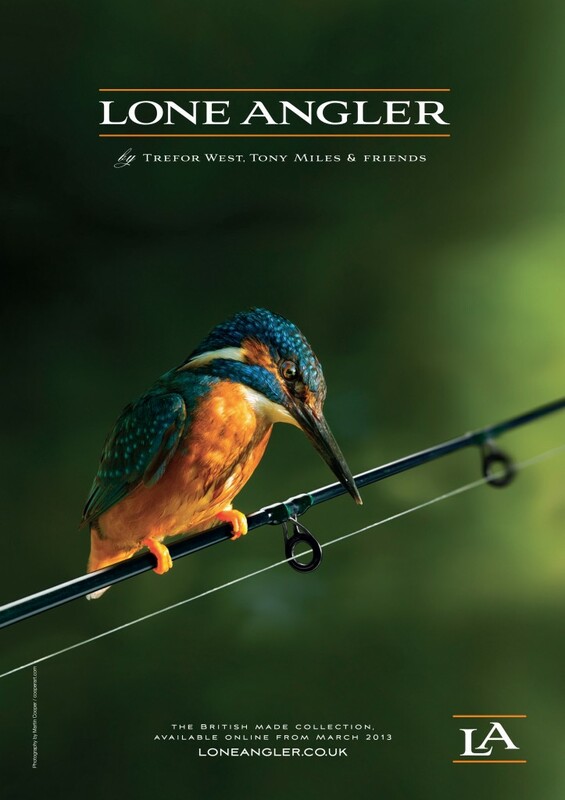 Here, I whiled away many happy hours with my good mates, Mick Hollands the local angling legend and great friend, Trevor and his brother Andy, Jules, Dave Kiely, Storm-Rod Steve and my very good friend Gerrard Weller who was sadly killed in his early twenties and many more besides. Still I digress….. As the sun beat down, the rays of sunlight dappled the surface of the small pit and the carp could be seen lazily cruising. Their backs gently breaking the surface film and every now and again a small boil on the water indicated a feeding fish. I set-up a rig; a small surface float and a long mono hook link with a pop-up boilie. Out went the rig and I pulled it into position, hopefully to intercept one of those big torpedo’s that were slowly moving between the huge sets of Lillie pads. Unbeknownst to me the lake also contained some hefty rudd. As the pop-up vanished with a gentle gulp the strike met with something less powerful than I expected. The carp that was honing in on my bait suddenly swirled and headed off back to the sanctuary of the pads and the culprit that had stolen it’s food was soon netted. In the net lay the most beautiful creature I had ever seen; a burnish bronzed behemoth of a rudd. I was gobsmacked. Two young lads were standing behind me and looked in amazement at this most wonderous of fish. The excitement in their cries of wonder encapsulated the moment. However in a flash of madness, maybe a brief flurry of youthful machismo, I decried the capture as nothing but a nuisance fish and slipped the rudd back without weighing it or capturing this special moment on camera. A most heinous crime indeed and it would take many, many years to undo this blunder! From that day on I promised myself to enjoy unintended captures and treat them with the respect they deserved and justly so. Thirty five years later the opportunity presented itself to finally have a go for some big rudd. I felt we had left it too late, as we often do chasing big fish opportunities. We had been given some information early in the summer, where big rudd had been caught and not followed up on this prime tip off. Now, as we fast approached October we had a day spare and all of the facts we needed to head to the venue. Although it was due to be a bright and warm day, the wind looked like it would be a huge problem; gusting to 20mph. This can make float fishing difficult and also fish observation awkward due to the chop on the water surface. Anyway Geoff convinced me, against my better judgement, it would be a worthwhile exercise to at least explore the venue for future opportunities. We arrived around midday and proceeded to explore the stretch. We spotted some small fish early on but nothing of any real size. We walked some distance down one side and then decided to walk all the way back to where we had started and cross over to the other bank, as access looked a little easier. We were armed with a loaf of bread and flicked in the occasional flake in likely looking spots. Geoff, who was suffering with severe back pain, had decided enough walking was enough. I vowed to carry on and explore a bit more. I felt it was imperative to spot the fish first, rather than fish blindly. Just as Geoff turned to head back to the car, I spotted two enormous rudd. They saw me and turned broadside in the water and vanished into the depths. One looked truly huge. However we then spotted a big shoal of decent rudd and a few flakes of bread were tossed in, to see if they would take them. They did. We shot back to the car to grab the gear. We knew that at least we had a chance now we had found a few fish. My plan of action was to set up a 14ft float rod, a waggler fixed top and bottom river float style and a 10 hook. I intended to fish flake on the surface or to let it slowly sink a couple of feet down. I found a shoal of rudd and they all looked decent; maybe 1.8lbs or so. Access was difficult due to the density and size of the reeds however I managed to find a spot where I could get to the shoal. The float went out and within a few seconds a rudd gulped the bait down. The fish came off quite quickly and the same thing happened on the next fish. The bread flake was attached to the 10 hook a bit more carefully, the line kept tight to the float and this time the strike was solid and the fish was hooked properly. It was almost impossible to get the net to the fish but with Geoff’s help we hoisted out the first of the day. It was a plump, broad backed golden marvel. It looked huge now it was out of the water, much bigger than it had looked in. The scales read 2.2lbs….success and so early on. It was a magnificent creature and with hands shaking I returned it to the water. I kept stalking the banks and trying to find the fish. I saw some truly huge specimens and we soon realised that the shoal of rudd that we estimated to be 1.25 to 1.5lbs were in fact all 2+, so God knows what the couple of big fish I saw would have weighed! I continued with the same tactics throughout the day and managed to land 3 more specimens at 2lb 1oz, 2lb 5oz and my last and biggest rudd at 2lb 6oz. After that the fish were hard to spot due to the light conditions and the wind. Geoff hadn’t managed to catch but we had found a shoal of fish and after a few set up adjustments, he finally hooked but promptly lost a fish. However at least he knew they were there and perseverance finally paid off with a stunner going 2lb 5oz. The trip had been well worth the drive and effort. Well done Geoff for sticking to the plan. At last a wrong of 35 years had been put right and in some style to. I’m sure we will be back for another go this season but if not next summer will present an exciting opportunity to hunt these fine rudd again and who knows maybe that elusive 3 pounder may fall to our bait!